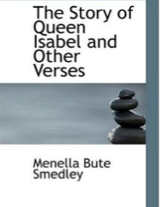 Menella Bute Smedley was a 19th century English poet, playwright and novelist who also translated German verse into English. She published at least three volumes of poetry and also collaborated with a sister on poetry for children. A famous relative of hers was Lewis Carroll. Smedley was born sometime during November 1820 in the Buckinghamshire town of Great Marlow, the daughter of a clergyman who was also a writer. She was the second of her family to be given the name Menella. One year before her birth Menella Eliza Smedley was born but she died as a baby. She was tutored in the classics at home but was sent to the coastal town of Tenby, South Wales for a time in an attempt to improve her health, staying there with relatives. She grew up with ambitions to become a writer and had sufficient languages skills to be able to translate The Shepherd of the Giant Mountains from its German ballad original into English. This work was done in 1846. Later work had a much more “human” touch. 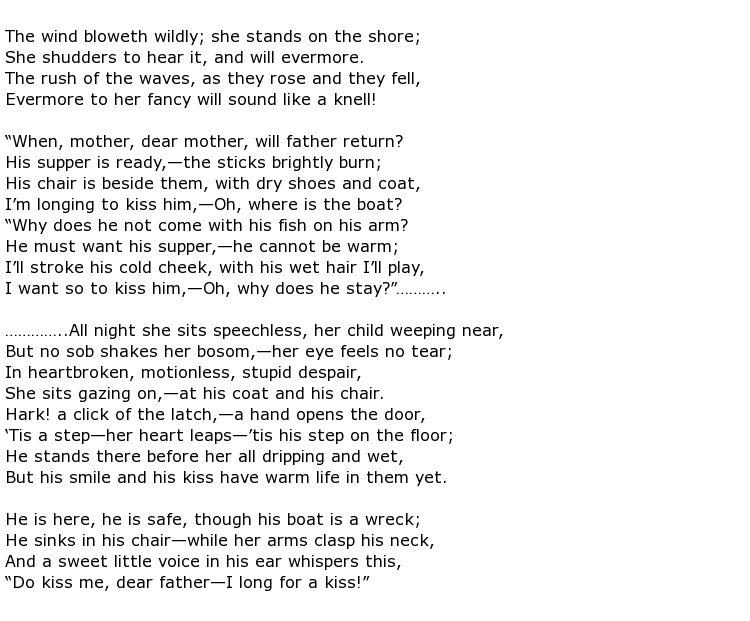 It seems that most of Miss Smedley’s family were literary to some degree. For example, a cousin wrote books and a sister was a popular children’s poet and story teller. Her interest in writing poetry and stories for children extended to philanthropic acts involving bettering the lives of poor children. Menella Bute Smedley died on the 25th May 1877 at home in London. She was 56 years old.